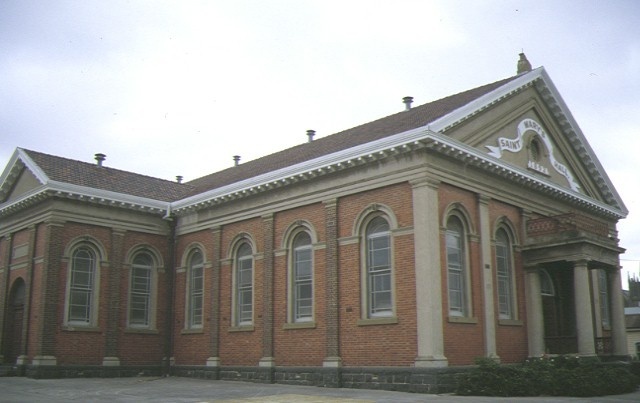 St Mary's Hall, Geelong, a large red brick building with cement dressings, was constructed in 1891-92 by contractors House and Sims to a design by architects Watts and Durran. Funded by subscriptions and opened debt-free, it was used as classrooms for St Mary's School until 1918. St Mary's Hall is of architectural and historical significance to Victoria. As such St Mary's Hall is an early example of the classical revival style in Catholic architecture and anticipates the move from Gothic style to the red brick Renaissance and Baroque designs of the twentieth century. The hall has considerable historical associations with the Catholic Church in Victoria. Constructed as a meeting place for Catholics after they were denied access to other halls due to the hostility engendered by the Irish Home Rule question, the building demonstrates its strong links with Irish Catholicism. The imposing scale of the hall expresses the importance placed in the building as a symbol of the faith an identity of the Catholic community. St Mary's Hall, 162 Myers Street, Geelong, City of Greater Geelong. 1. 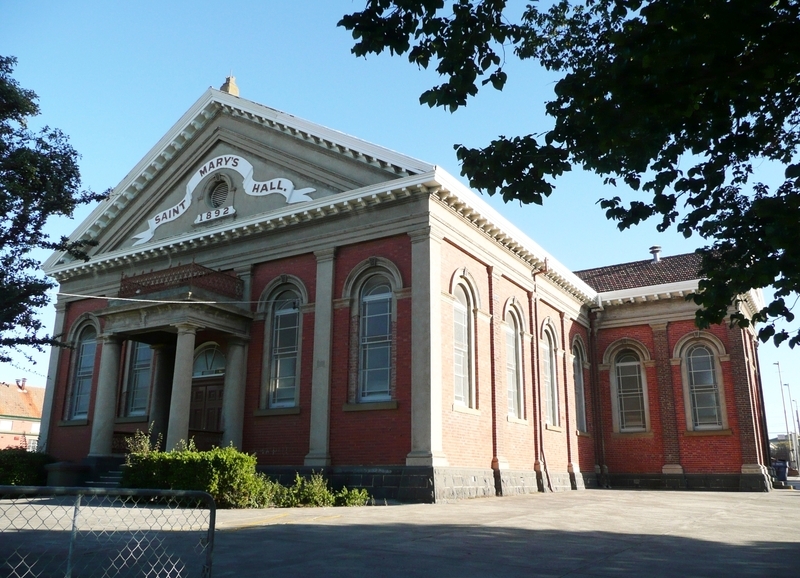 All of the building known as St Mary's Hall, Geelong, excluding the attached tennis club rooms and toilet blocks, marked B-1 on Plan 605990 endorsed by the Chairperson, Historic Building Council and held by the Director, Historic Buildings Council. 2. 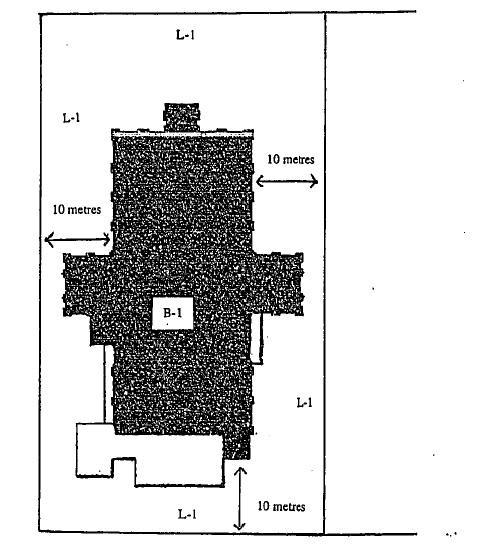 All of the land marked L-1 on Plan 605990 being part of the land described in Certificate of Title Volume 971 Folio 038, extending to the northern title boundary and extending ten metres from the base of the southern, eastern and western walls of the main body of the hall endorsed by the Chairperson, Historic Building Council and held by the Director, Historic Building Council.